Founded in 1993, Ace Décor is a family owned business, and is one of the few remaining truly independent large paint and wallpaper retailers and trade merchants in the country. It carries large stocks of wallpapers, paints, wood finishes, fillers and smoothers and can also supply specialist products to order. The Pro Décor range, which includes ground-breaking HydrolocTM technology, cuts out the problems associated with more traditional repair products. Unique because the mix water is used as part of a chemical reaction that dries the filler, HydrolocTM ensures that the range is unlike other products that dry via water evaporation. This means the product dries evenly, regardless of thickness, within 24 hours. Because the reaction occurs throughout the filler, its thickness plays no pivotal role in the waiting time. The drying process is not dependent on environmental factors either, making drying times more consistent. Steve Brown, General Manager at Ace Décor in Preston, said the reaction to the range from decorators has been extremely positive. “We’re delighted to be one of the first independent decorating suppliers in the North West to be stocking Pro Décor,” he said. “The response to the range from our customers has been one of the best for a new product that I can remember. Sales have gone really well, with many customers returning for repeat business. As a new stockist, Ace Décor were provided with Dunlop’s new Point of Sale stand (pictured) which provides an attractive display solution for merchants and retailers. 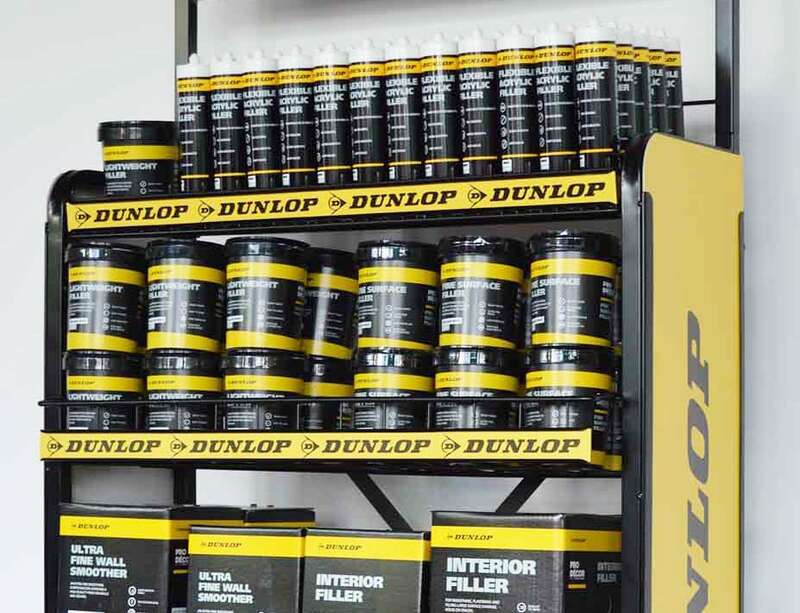 There are nine products in the Dunlop Pro Décor range including; Ultra Fine Wall Smoother, Interior Filler, High Bond Renovation Filler, Deep Filling Compound, Rapid Repair Mortar, Fibre Reinforced Smoothing & Filling Compound, Lightweight Filler, Fine Surface Filler and Flexible Acrylic Filler.